The Luckenbooth brooch was so called because it was sold from the “locked booths” on the Royal Mile adjacent to St. Giles Cathedral in Edinburgh, Scotland, in the early 1700s. 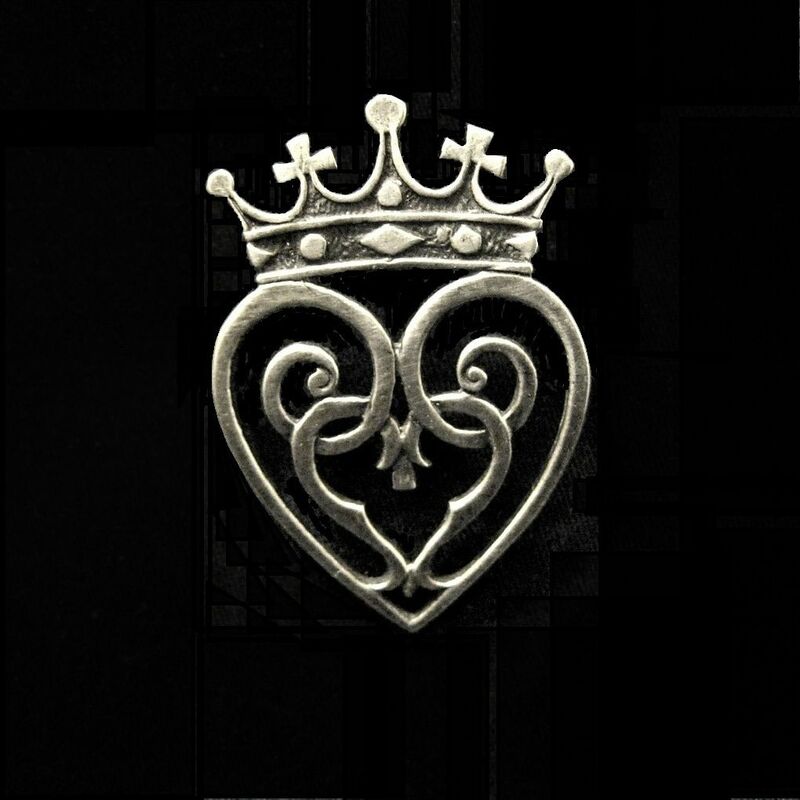 In its simplest form it is a single heart shape with an open center that works with a buckle pin like an annular brooch. Traditionally, it was exchanged between lovers upon betrothal. The intertwining hearts of the brooch and the sometimes inscribed phrases, such as “of earthly joys thou art my choice,” are evidence of its purpose and a surmounting crown is symbolic of Mary Queen of Scots. The Luckenbooth is probably the most romantic and lovely type of brooch in Scotland’s history.